This week we again took to the skies over the 17th Fairway side of the Bear’s Den at Reunion. 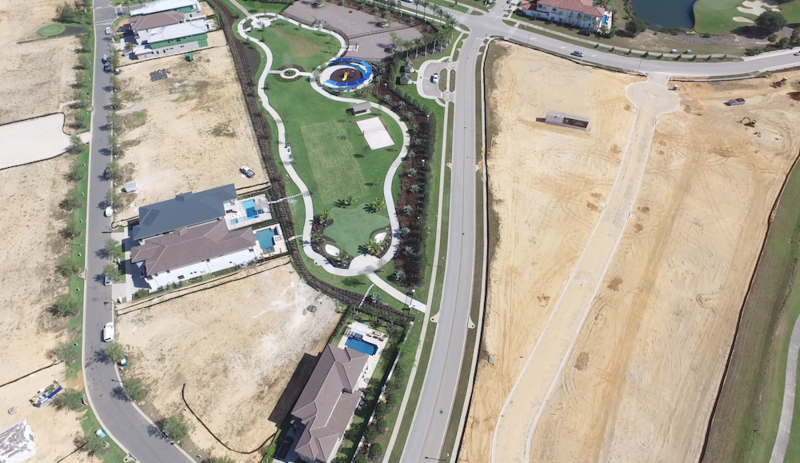 The land there has been graded and the road is paved, creating a blank canvas for the home builders to create the first Reunion Resort homes for primary/secondary only buyers. In other words, this community is the first section of Reunion Resort that isn’t for short term vacation rental! Let us know what you think about this purely residential only sub division within Reunion Resort. We think it will appeal a lot to keen golfers and homeowners looking to find a retreat right here in the sun-kissed golf courses of Reunion Resort! Email us for further details about ownership in Reunion Resort! Previous The Nicklaus Clubhouse Nears Completion! Next Dream Deal – 354 Muirfield Loop!